Adobe Photoshop Elements offers photo enthusiasts and beginners a lot of imaging power tools and effects! 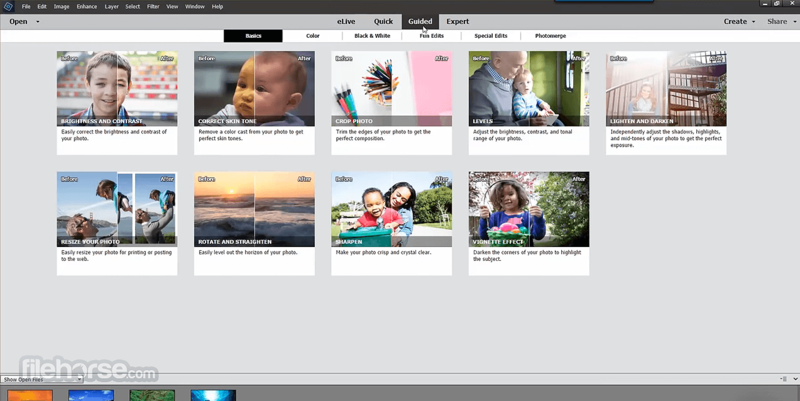 Enjoy auto-generated slideshows and collages, make your photos look their best with intelligent editing options, turn them into stunning creations, organize them effortlessly, and quickly share your memories. Create amazing photos — no experience required — with automated editing options and step-by-step guidance. Adjust color and light, remove scratches and repair old photos, and open closed eyes like magic. Plus, add eye-catching effects that give your photos fresh new looks. 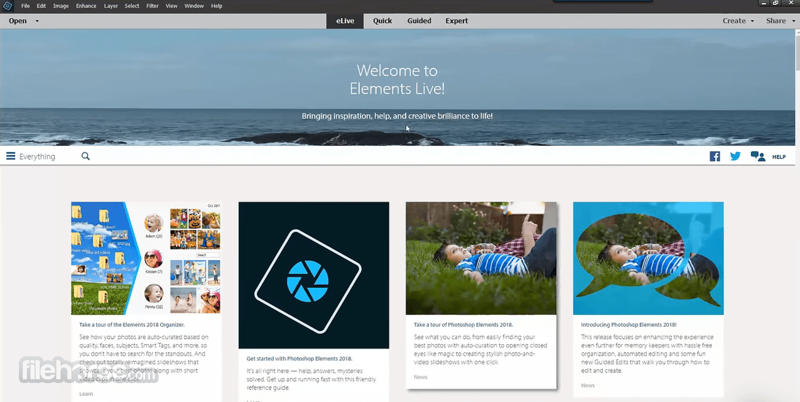 Download Adobe Photoshop Elements 2019 now! Design text with multiple photos — Easily put a different photo inside each letter to create beautiful visual text. Just type your text, enhance your photos with filters and more, and share on social. Replace backgrounds — Get step-by-step help selecting the subject of a photo and putting it on a different background to create a whole new scene. Remove camera shake — Hands a little unsteady when you snapped your photo? No problem — just click to sharpen things up. Have fun with filters — Try new styles and moods with filters, which you can apply with a click and then refine to get the exact look you want. 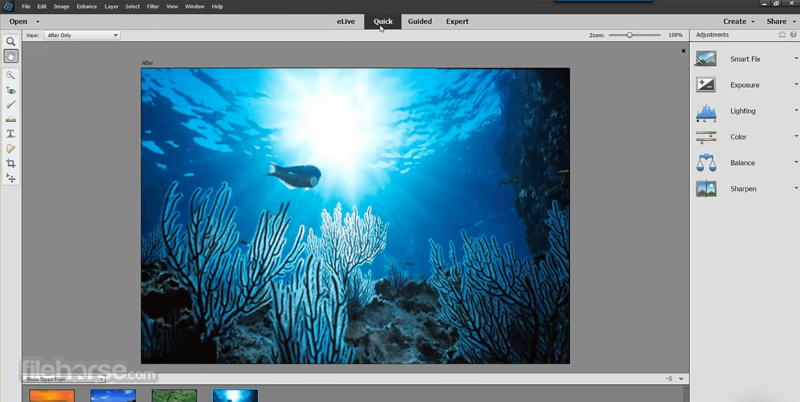 Photoshop Elements 2019 latest recognizes the faces in your photos and stacks them by person during import, so it’s easy to find photos of specific people later.